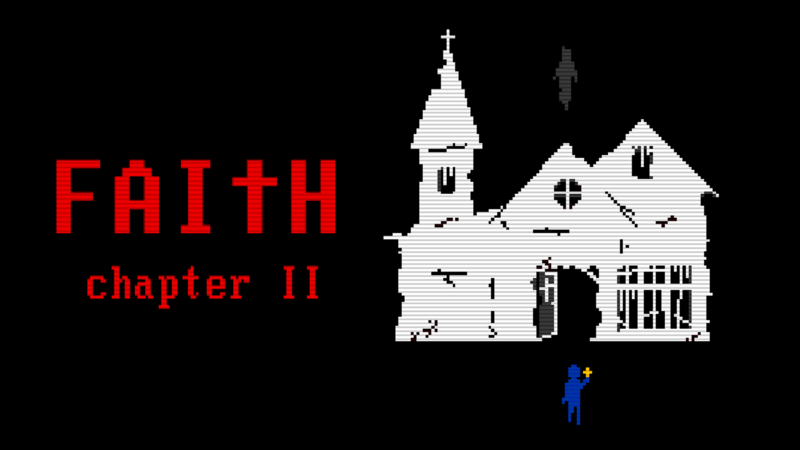 FAITH: Chapter II is available for download now! 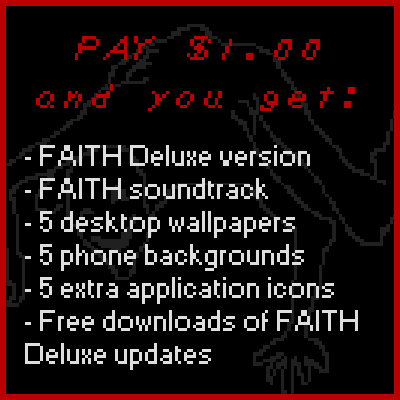 FAITH is a pixel horror game inspired by the era of MS-DOS, Apple II, Atari, and ZX Spectrum classics. On September 21, 1986, two priests arrived at the Martin Family home in rural Connecticut to investigate an apparent case of demonic possession. Only two people would leave the house alive. Haunted by nightmares and searching for answers, a young priest travels down a dark highway to return to the cursed house a year later. Forget blue-and-pink neon. The 1980s were scary. No Internet, it was hard to reach you if you weren't home, and the U.S. was engrossed in the “Satanic Scare” which fueled widespread paranoia about devil-worshiping, witchcraft, and occult practices. "...I find this spookier than a game with much better graphics and effects"
"Amazing how something so minimally designed can be terrifying"
"This is so f***ing horrifying"
"Well, I didn't want to sleep anyway"
FAITH takes about 1 to 2 hours to complete 100%. It is recommended that you play it with an Xbox 360 controller. WINDOWS 8 USERS: FAITH is known to have game-breaking graphics issues for Windows 8 users with onboard Intel HD graphics cards like the Intel HD Graphics 4000. Thanks for playing FAITH! Check out Airdorf Games on Facebook for news, updates, and more! 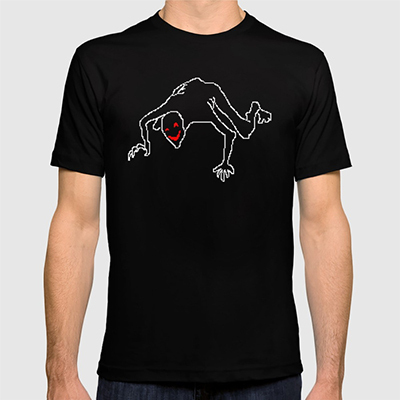 Show your FAITH with this radical official t-shirt! 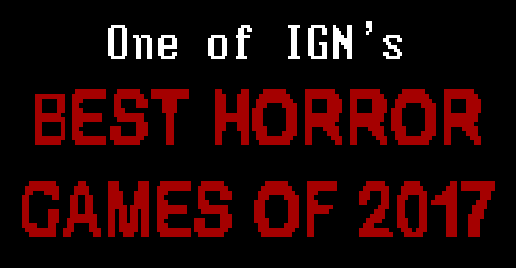 FAITH Appears on IGN's "Best Horror Games of 2017"
v1.0.2 Out - Attic Bug Fixed! I enjoyed The Wind so much that I had to come give this a try. How the hell is DOS style so creepy? From the start, this game really drew me in when I first saw it. The soundtracks, the artstyle, the aesthetic of walking simulator art, the not-so-obvious jumpscare, everything combined each other and make it into something that could be one of the best modern pixel game i've played so far. Keep working on this gaming style and I'll keep supporting it! Hey, I really dug your game, I think it's one of the better horror games I've played in recent years. Here is a Let's Play that I made of it if you're interested. One of the best horror games I have played so far! 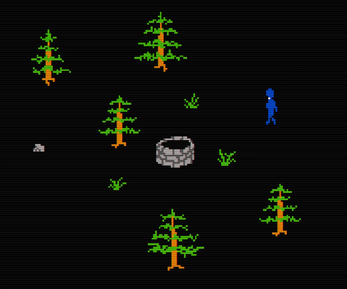 Even though it's just a 2D pixel game, I was still afraid of what might come next! The atmosphere and music was so awesome! I am even happy that the save mechanic was actually very helpful in some moments! With a trash computer like mine, I was glad I had no lag while playing the game! I had only enough time to get 2 endings, the hunter and murderer. I can't wait to play Faith 2! I'm still deciding whether or not to play the deluxe edition. Would you recommend me to play it? Also should I try out the Faith 2 demo or wait for the full game? Thanks so much! Keep up the good work! Now this. This is what I call fine art. Sinceramente, eu adorei seu jogo, mesmo os gráficos sejam parecendo um pouco dos gráficos da atari combina com o jogo, ainda mais é pra assustar e divertir. Bem esse jogo foi uma coisa que me mudou de outros jogos, bem se eu tivesse dinheiro poderia doar para você, mas eu vou apoiar e falar para outros amigos meus jogarem esse jogo! Bem, isso é a única coisa que eu posso fazer...Bem eu gostei desse jogo e espero que você possa me assustar muito com seus jogos incriveis. - About the mirror demon, the way to acess it (grabbing and shooting the rifle 3 times) feels really weird (because you have to go back , grab and listen the message again). What about it be something like: When you first enter the room, the reflection is normal/clean, then in the subsequent entrances there is a chance (or always) of appearing the demon, then you use the cross, making the mirror crack, and the demon dissapear from the reflection, repeat this one additional time to make it really cracked, then only make the demonic reflection appear again if you have the gun thus triggering the event. I think that this would make smoother and more mysterious. - The extra lore is the one from defeating the demon? - There is some use for the clown nose (nasus) item? - In the deluxe version, the secret note after defeating the boss, for collecting all notes still works like in the free version? (i was pretty sure i collected all, maybe the note progress reseted because i died midway in the woods (collected note, save point in the shed, died, recollected only the ones after the save point). When is a german patch coming? Or is there a kind of mod? The game was different, reminding me of the commodore 64 in how it did it's games, it was fun and the voices were creepy on there own for me, and I liked it, but raged at the boss. The voice was perfectly made and also the "lack of Music" was well placed. After all I'll look forward to "Faith II"
This game creeps me out more than AAA horror titles. I love it. 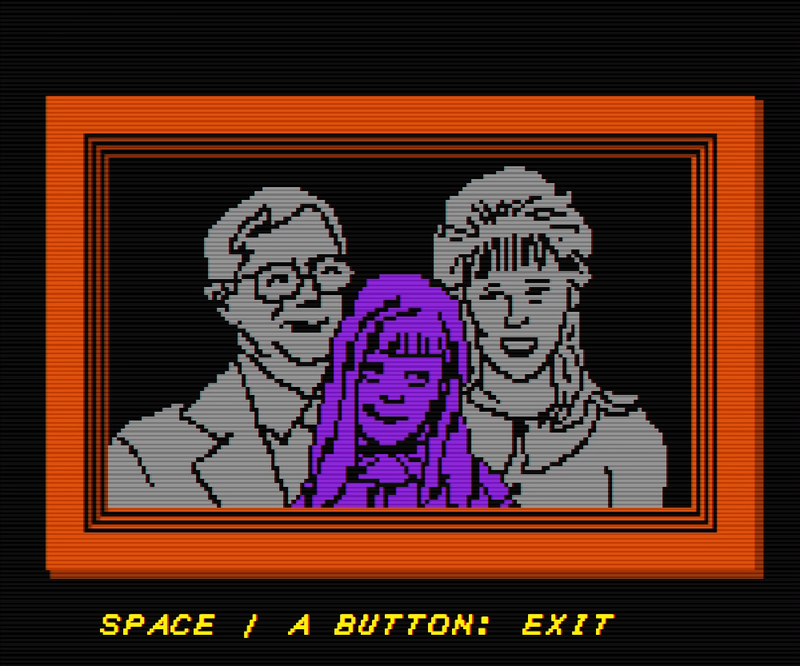 Ein ziemlich pixeliges, ziemlich retroiges Horrorspiel. 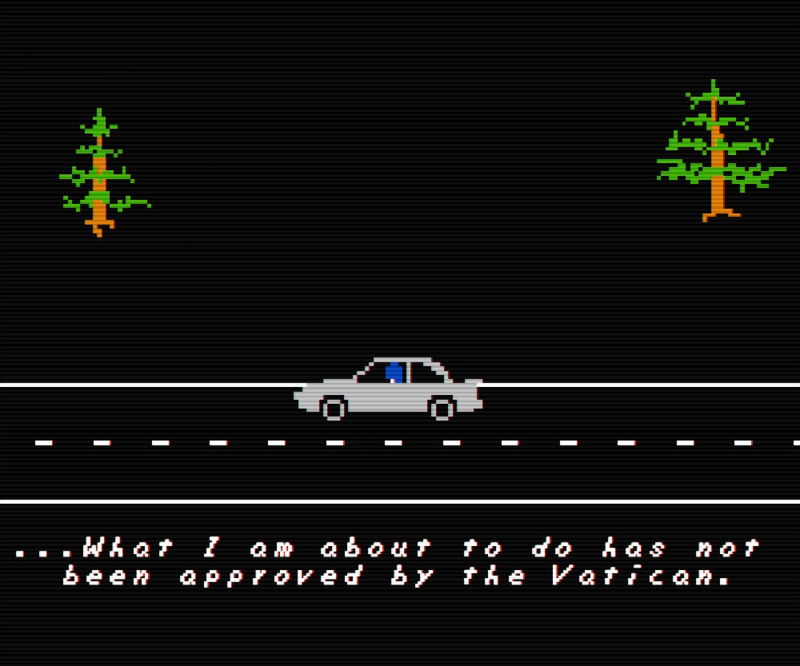 A very pixelated, very retro horrorgame. How long is the gameplay? Is it about an hour to finish? Faith is an amazing game. At first glance it looks to be quite honest a little lame. It reminds a person of the old atari style games of past but, hidden in Faith is something deeper and, much darker. Bear witness as, this game scares the ever living crap out of you over and over. Just when you think it's safe another demonic entity rattles your core. It's sinister it's down right delicious! part 2 the end is really hard its like a rage game its hard to remember the patterns the cut scenes are amazing and the ending is really cool. Love the game it's terrifying love the Atari Style i recommend everyone who's into a horror to play this game great game. I think like this has been commented on before this game is scary as S***! I went into it thinking oh this is going to be lame a retro slapped together Atari game from my past. What I got was suspense every screen and, jump scares galore! I honestly don't know why this game didn't blow up as much as it should've. A lot of themes and scenes scream "cult classic". The graphics and movement were super nostalgic. I love the retro feel that a lot of games have been having recently, but this one just blows me away. The color scheme with important objects being different colors is a really nice touch. The feeling of urgency and unease was with me the entire time, as well. This is the perfect example of a game that scares you without jump scares. I didn't explore the WHOLE game, but I got both deluxe versions and I DEFINITELY plan on picking it up again. Thanks so much for making this! I hope Jane is doing well! Sorry it took so long for me to get this video out there, my internet is TERRIBLE. Fantastic little horror game! 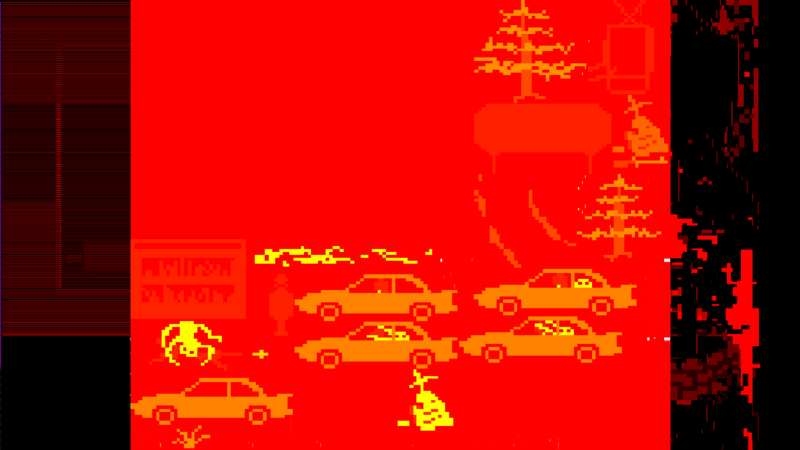 It’s not easy to scare people with only a few pixels but this game manages to pull it off somehow! It’s creepy and is actually rather difficult at parts too! Really well made! This was a really fun experience, now I just have to try and find the 4 other endings! I love the sound design! 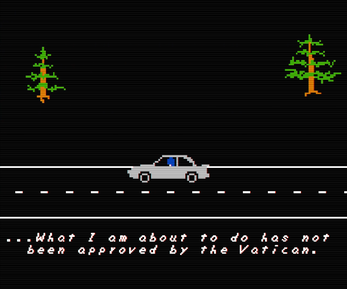 I LOVE retro horror games. Excellent, excellent job with this one. Was hoping that maybe you could offer some story line clarification/explanation of endings. I'm particularly interested in better understanding who the grey person/thing is. We see the grey person coming out of a possessed Amy. And then later there's an ending in which you can kill the grey man. Am I understanding correctly that he was a priest? My initial thought was he was the demon inside Amy. Could you just clarify that story line? lol Thank you so much! Will there be a mac port? It's hard to say. For the development platform I used, it's really complicated (and expensive) to port FAITH to mac. I'll look for an easier way, but for now it's not in my plans atm. Have you tried something like Wine? Is there a difference between this and the gamejolt edition? this game looks really good but I had some really... spooky issues once I downloaded it. I can hear the music but my screen seems to only be showing glitched imagery like this picture. Howdy! Send me an email: airdorf<at>gmail<dot>com. This is an issue that usually happens with Windows 8 users. Ehi! Your game is really good! Se c'è qualche italiano ho fatto un let's Play! This Game was fantastic! Here's my gameplay footage of it. Enjoy! Highly recommend this game to everyone interested in the aesthetic and horror. It's really something else, and manages to do alot with the art style and sound design. Short and sweet, loved it! Also, this might be giving away too much, but is there a point to the note you find at the very end (the ritual instructions with all the asterisks), or is it just meant to hint at what happens in ending 3? The note explaining the ritual hints at what happened to one of the characters. Congratulations on finding it! Game is a blast! Would love to see more updates in the future! Amazing work.